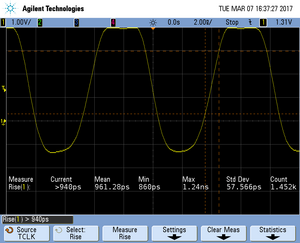 This article describes how to get started with trace on the Renesas Synergy R7FS7G2 MCU. This article assumes that there is already a basic knowledge about trace in general (what is trace, what different implementations of trace are there, etc.). If this is not the case, we recommend to read Trace chapter in the J-Link User Manual (UM08001). The Renesas Synergy R7FS7G2 MCU implements tracing via pins , so a J-Trace can be used for tracing. The following sample project is designed to be used with J-Trace PRO and Ozone to demonstrate streaming trace. The project has been tested with the minimum requirements mentioned above and a DK-S7G2 Development Kit. The sample project comes with a pre-configured project file for Ozone that runs out-of-the box. In order to rebuild the sample project, SEGGER Embedded Studio can be used. 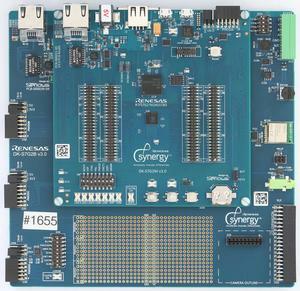 The Renesas Synergy R7FS7G2 supports traceclock speeds up to 120 MHz like used in the example project. 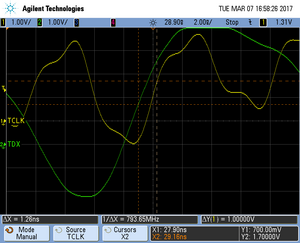 SEGGERs J-Trace PRO supports it out of the box without any additional pinsetups though up to 80 MHz traceclock. Should you need faster traceclock speeds, please set the TraceSampleAdjust value to 0 like in the example project. This page was last modified on 25 May 2018, at 14:00.